In Europe, we have more than 2400 Field Services Representatives working at customer’ site every day, that means they face hundreds of different situations that could include dangerous procedures. That’s why, at Schneider Electric, Safety is our first priority, not only for our people in the field, but also for any of our workers and, of course, our customers. Following all the steps is highly important; at the end of the job Schneider Electrics’ person in charge sign off that steps from 1 to 7 are completed. Then, the customer representative signs to confirm that all the steps have been followed. Those are steps that are not only recommended in the field while working with critical equipment, but this is also something we could do anytime, anywhere to make sure that what we are going to do we’ll do it in the safest way. Making sure we are S.A.F.E is more than following a list of steps, is in our DNA. That’s why we want to engage our customers to join us in being S.A.F.E in their workplace with our electrical safety services. Thanks to our experts on functional safety, standards, and regulatory compliance, we ensure support throughout the safety lifecycle, wherever and whenever it’s needed. Operating more safely minimizes threats and increases uptime, therefore the risk of reputation damage is avoided. 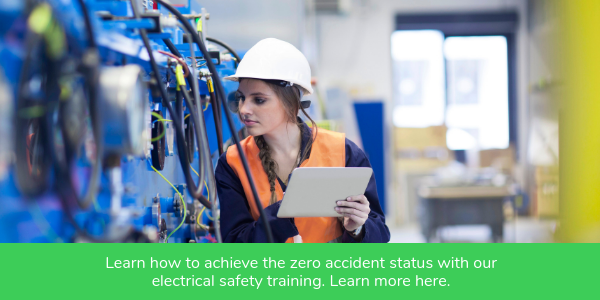 Learn how to achieve the zero accident status with our electrical safety training. Detect any knowledge gap and take the appropriate electrical safety training course. Electrical safety is the most important aspect of any work on electrical systems. The Lock Out Tag Out procedure you describe is a very sensible methodology for the safe isolation of electrical circuits prior to undertaking any works. Electrical Workplace Safety: A Never-Ending Process 3-step plan for improving utility network safety performance The People Factor Elevates Data Center Safety Why use virtual reality for medium voltage equipment and safety training?